Laotians shop for books, most of them in the Thai language, at the 4th Book Fair organised by Thammasat University at the National University of Laos. Laotians shop for books, most of them in the Thai language, at the 4th Book Fair organised by Thammasat University at the National University of Laos. 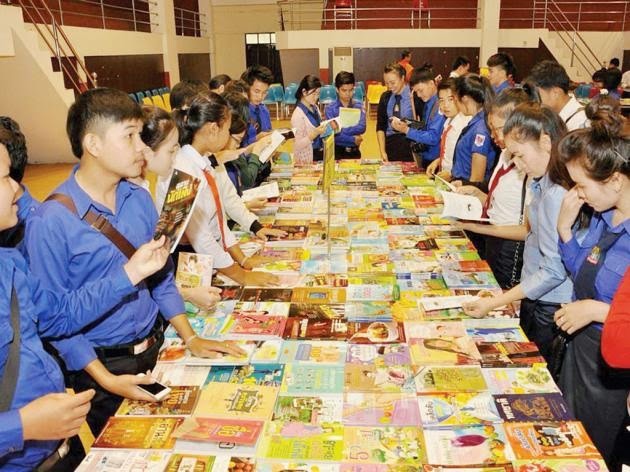 TU-organised event offers plenty of material for intellectual pursuits Lao students and teachers recently enjoyed a book fair in Vientiane thanks to a collaboration between Thai and Laotian universities. Thailand's Thammasat University (TU) and the Laos' National University of Laos (NUOL) joined forces to organise the 4th Book Fair in the latter's stadium from 8-12 December. Another TU book fair was also held for two days at the National Health Science University of Laos this month. ...Click here to read the rest of this article at the source.